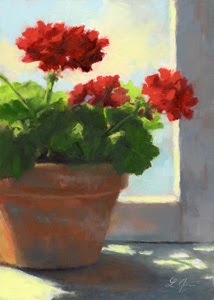 Geraniums seem to have that homey feel to them. 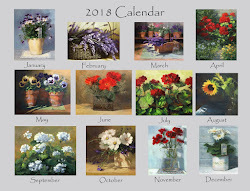 Roses are when you dress up fancy for an occasion, geraniums are when you kick back at home and don't care what your wearing. 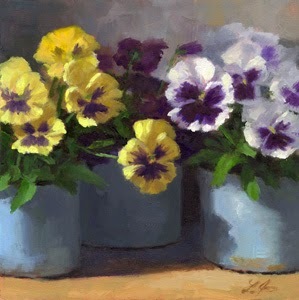 Pansies are always a joy to paint, they have such character to them. There are a lot of colors to choose from. I love going to the nursery and having the honor to pick from any flower to be my model. I wanted this to have simplicity. 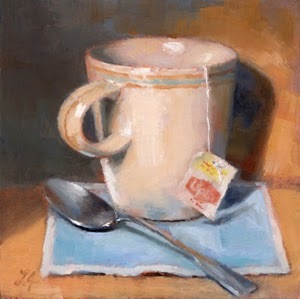 Simplicity seems more relaxing when your going to have that cup of tea. 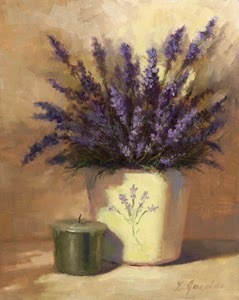 Lavenders are a treat to paint because you get to enjoy the wonderful aroma they put off. 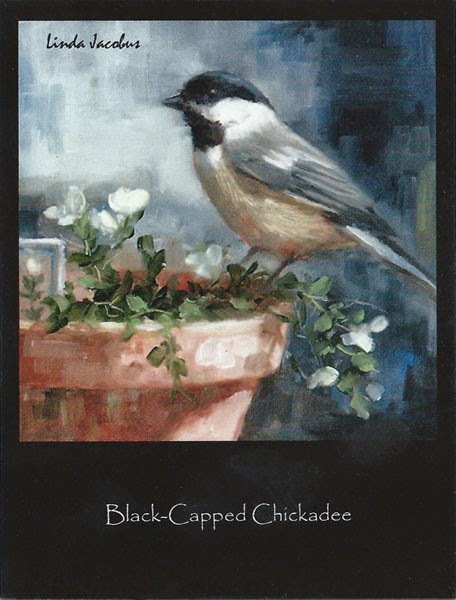 I have some that have dried in my studio, still smell so good.